Jeffrey Limbauan - Page 454 of 455 - In every single word, you can write a history. 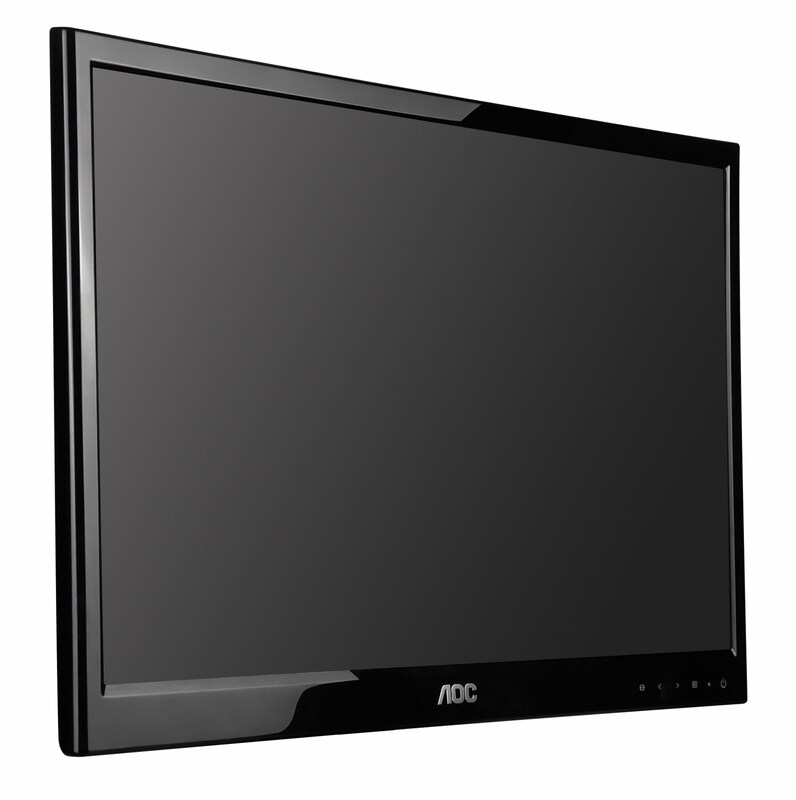 The latest ultra-slim LED monitor from AOC has a unique stand that transforms from conventional to a special photo frame style. The revolutionary 51-Series monitors have a radically slim display body measuring just 10.6mm thin, backed by a compact electronics box perched atop a sleek angled strut. The rear surface features an exquisite matrix-pattern embossed texture, whilst the screen bezel and base shine glossy black. The screen body can be lifted away from the supporting stand, to reveal a shorter support that lets the bottom edge of the screen rest directly on the desk surface, presenting a stylish exception to the typical layout. Whether your first choice is elegantly traditional or strikingly alternative, the 51-Series has the technology to inspire those with sharp eyes and environmental awareness: the LED backlight generates a stunning 20,000,000:1 dynamic contrast ratio, contains no toxic mercury and enables substantial power saving. Digital and analogue connectors are rear-facing for direct insertion, more convenient than more common downward-pointing ports. AOC 51-Series unleashes an exciting blend of cutting-edge style and new technologies that will thrill all people who see them, just like the thrill of the superheroes in X-Men First Class releasing their superpowers. 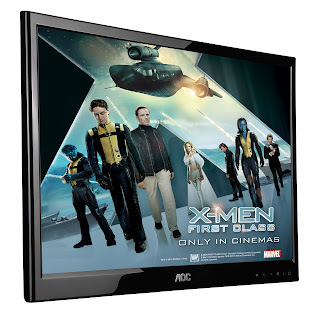 AOC and leading global film distributor Twentieth Century Fox International have banded together to promote the highly-anticipated release of the movie X-Men: First Class due out in June, 2011. X-MEN FIRST CLASS unveils the epic beginning of the X-MEN saga. Before mutants had revealed themselves to the world, they were discovering their powers for the first time, and worked together to prevent nuclear war. In the process, a serious rift opened between them, beginning the conflict between Magneto’s Brotherhood and Professor X’s X-Men.